It is a navigation component that mimics the stacks features. 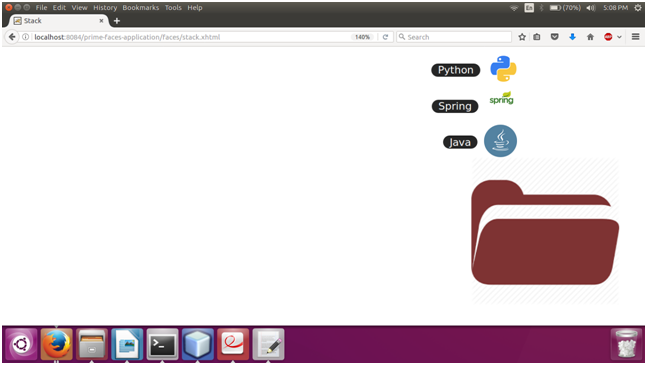 The <p:stack> component is used to create stack of in JSF application. Here, in the following example, we are implementing <p:stack> component. This example contains the following files. When click on folder, it pops the elements.